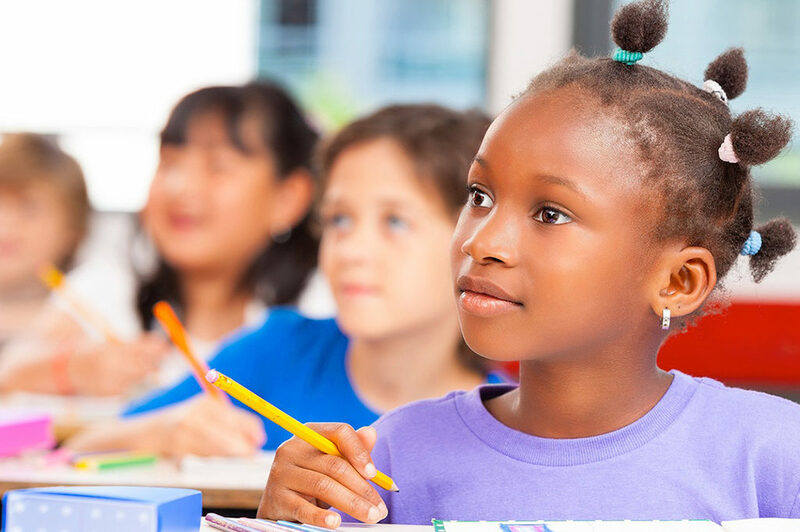 Reducing chronic absence fits nicely into the three-tiered reform systems being successfully implemented to reduce chronic absenteeism in schools and districts across the U.S. Tier 1 represents universal strategies to encourage good attendance for all students. 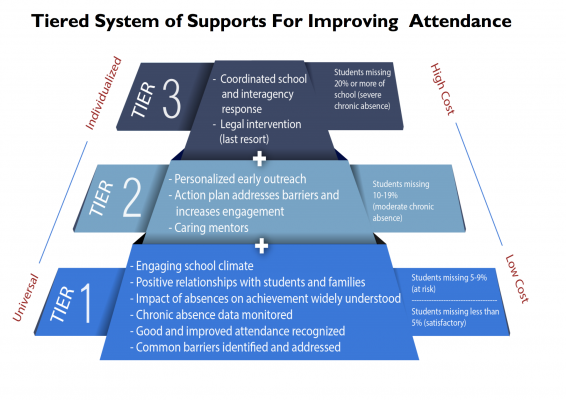 Tier 2 provides early intervention for students who need more support to avoid chronic absence. Tier 3 offers intensive support for students facing the greatest challenges to getting to school. Attendance Works has created a handout (below) showing examples of interventions that schools and districts should try at each tier. A worksheet (below) allows educators to assess what steps they are taking now and what more than can do to reduce chronic absence.